This is a pretty bleak time at MJC. Lots of layoffs are expected. Departments are likely to be cut. There’s quite an uproar under weigh. I plan to post about it some, but I’d like to wait until things are a little more definite. I decided to experiment with food tonight. I’ve made banana pancakes several times and I wanted to try making strawberry-banana pancakes. But I also had some blueberries. So I tried mixing them all together. I now realize that the blueberries were a bit of a mistake. I cooked them up and they were ok, but I should have blended the blueberries as well. Next time. February 28th, 2011 | Seaners | Tags: postaday2011. We come to the end of our salsa festivities. 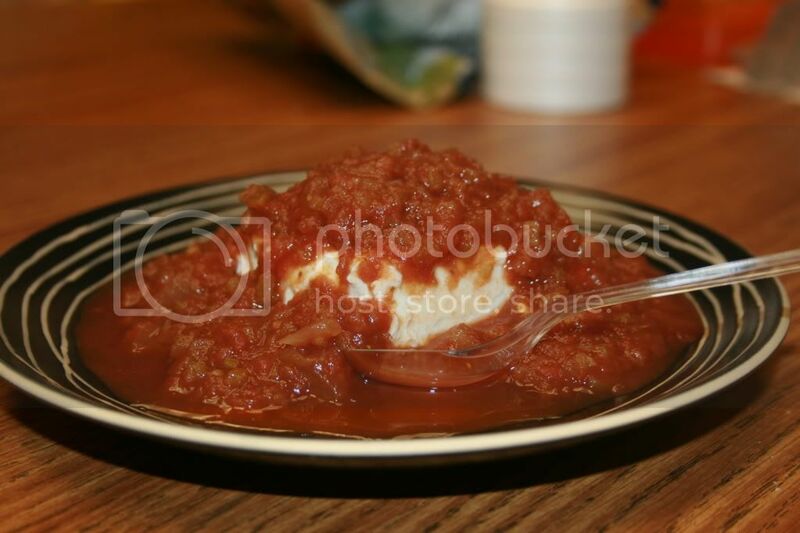 Here we have a tasty red salsa over cream cheese, supplied by Vicki V. and captured photographically by Dorinda. February 25th, 2011 | Seaners | Tags: postaday2011. For our penultimate salsa, Angie brought in a Watermelon Salsa. February 24th, 2011 | Seaners | Tags: postaday2011. Today we return to the culinary delight which inspired Salsa Fest, Salsa con Queso. February 23rd, 2011 | Seaners | Tags: postaday2011. Today begins Week 2 of Salsa Fest. Today’s selection brought to us by Vicki G.
Remember, when you’re looking for a fresh, high quality Cowboy Caviar, call Vicki G.!